- Gain a clear understanding of why you are starting a YouTube channel. - Determine your target audience. - Figure out which YouTube category your videos belong in. - Figure out how to properly optimize your YouTube channel to rank higher in searches. - Learn why it’s important to integrate your other social media networks to your YouTube channel to broaden your reach and gain more subscribers. - Learn about the different types of videos that are proven to be successful in driving new subscriptions. - Learn how to build your audience through social media, participating in forums, and collaborating with others. 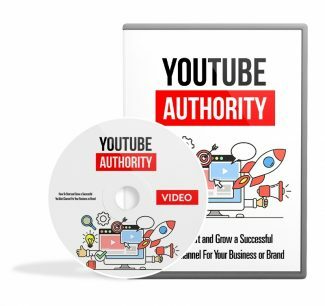 - Discover how you can increase engagement by creating simple and beautiful thumbnails, adding annotations to your videos, and including basic marketing SEO best practices to your channel. - Learn the different avenues for monetizing your YouTube channel so you can make more money. - Learn about the different mistakes that you can make on your YouTube channel and how to avoid making them.